Arrive at Islamabad International Airport. Meet, assist & transfer to the hotel. AM at leisure. PM. Islamabad city tour. Our sightseeing tour will start from, Faisal Mosque, Shakar Parian & National monument with a trip to Damn-e-Koh, to catch an eye bird view of the twin cities. Overnight at the hotel. (No meals). After breakfast transfer to Islamabad International Airport for flight to Skardu by PK-451 (Subject to weather flight). 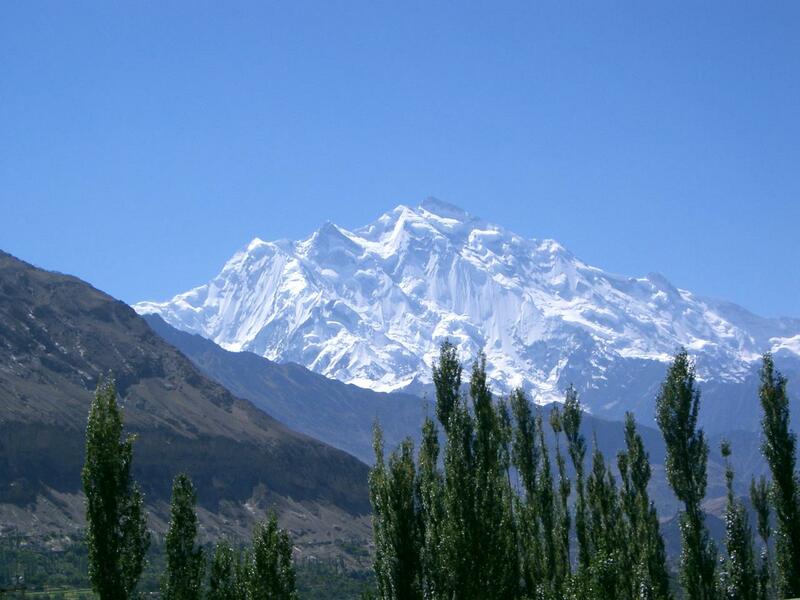 We will be on the most incredible commercial flight in the world taking us from Islamabad to Skardu while looking at the beautiful Nanga Parbat. Pick up from Skardu airport by PK-451. Transfer to the hotel. 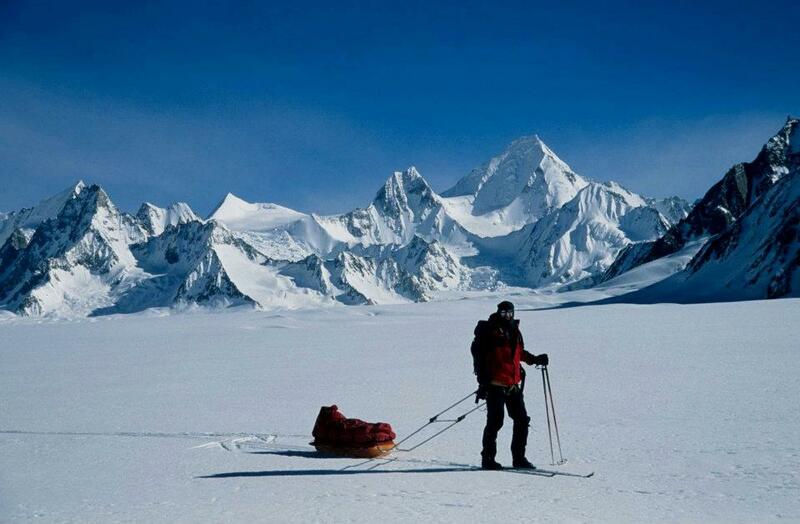 Overnight at the hotel in Skardu. (Breakfast only). (If flight cancels then, we will drive via Karakuram Highway to reach Skardu on the way overnight stay). Upon arrival transfer to the hotel. 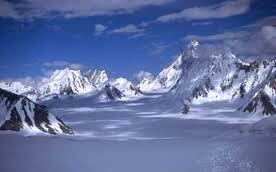 Next day drive to Skardu. (Breakfast only). Free day at leisure. Overnight at the hotel. (Breakfast only). Day 16: Jutmal – Shiqam bares/Baghdurbeg Gut delum. Breakfast in the camp. After last camp breakfast we shall proceed for Karimabad on 4 x 4 Willy Jeeps. Our 4 x 4 Willy jeeps will transfer us to Karimabad. The first view of this lush green valley surrounded with huge snow caped mountains will remain an impression on our minds for a long time. Overnight at the hotel. (Breakfast only). After breakfast we shall proceed to Besham via Karakuram Highway for overnight stay. (Breakfast only). Breakfast at the hotel. We shall proceed for Islamabad. Upon arrival transfer to hotel, PM at Leisure. Overnight at the hotel. (Breakfast only). 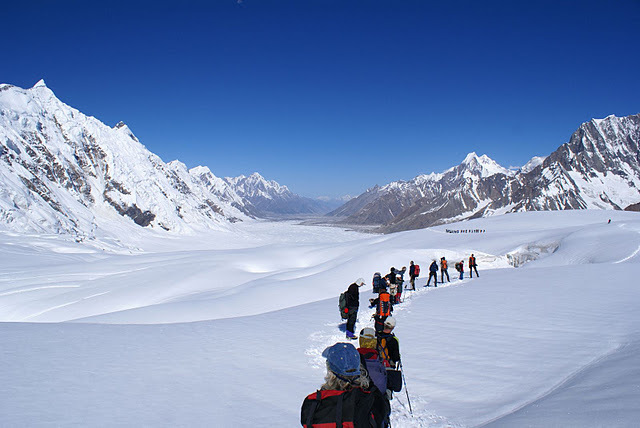 NOTE: Unpredictable weather during the trek extra one day may be adjusted in Karimabad or wait for good weather to cross the Snow Lake.